Two incidents amply demonstrate that Pakistanis have learnt nothing. One was the widespread outrage across the country over Osama Bin Laden’s killing by American commandos. In response to America’s exposure of Bin Laden’s hiding place, Pakistan moved to shut down the informant network that lead the Americans there. The other was the unholy fracas over CIA shooter Kansi’s execution. The day after Kansi was sentenced to death by an American court, four Americans were shot dead on the streets of Pakistan. His funeral was attended by the entire civilian administration in his hometown Quetta, the local Pakistani Corps Commander, and the then Pakistani ambassador to the United States. Thousands of mourners turned out as Quetta city shuttered down. Kansi’s coffin, draped in black cloth with verses from the Koran embroidered on it in gold, was carried on the shoulders of young men some 10 miles from the airport to his family’s home in Quetta. In Islamabad, the capital city, lawyers and university students poured out on the streets. The irony of outpourings of support for hardened terrorists is that Pakistan is seriously impacted by terrorism. A global study by the London-based Institute for Economics and Peace ranks Pakistan fourth on the Global Terrorism Index (GTI) list, behind Iraq, Afghanistan and Nigeria. The gunmen belonged to the terrorist group Tehrik-i-Taliban Pakistan (TTP), which is also known as the Pakistani Taliban because it is based in Khyber Pakhtunkhwa. It is an offshoot of the original Taliban which was created by Pakistan as a weapon to be used against Afghanistan and India. That Pakistan is a state sponsor of terror is well known. In Hillary Clinton’s words to Islamabad, if you harbour snakes in your backyard, don’t expect them to only bite your neighbour. It was Pakistan’s demagogue dictator General Zia-ul-Haq who declared that “we will bleed India with a thousand cuts”. The reckoning was that since Pakistan can never hope to win a war against India, then India must be hit with terrorism. To this effect, Pakistan first supported Kashmiri and Sikh separatists, armed them and provided them safe bases on its territory. When both these terror campaigns failed, Pakistan created an alphabet soup of home grown terror groups such as the Jaish-e-Mohammad, Lashkar-e-Taiba, Lashkar-e-Jhangvi, Jamaat-ud-Dawa and Harkat-ul-Jihad al-Islami. These two were complemented by the Haqqani network and the original Taliban, which has now split into dozens of splinter groups, some of which are still controlled by the Pakistan military and its chief intelligence agency, the ISI. Former Chairman of the Joint Chiefs of Staff of US, Mike Mullen has described the Haqqani Network as the “veritable arm of Pakistan's ISI”. Mullen said the ISI was supporting the Haqqani network, which attacked the US embassy in Kabul in September 2011 and also the September 2011 NATO truck bombing which injured 77 coalition soldiers and killed five Afghan civilians. In a November 2014 interview to the BBC, the adviser to the Pakistani Prime Minister on National Security and Foreign Affairs, Sartaj Aziz said Pakistan should not target militants like the Afghan Taliban and Haqqani Network, which do not threaten Pakistan's security. Indeed, Pakistan is one of the few countries in the world which believes in good terrorists (who attack the West, India and Israel) and bad terrorists (who target Pakistan). An example of a ‘good’ terrorist group is the Jamaat-ud-Dawa, which regularly conducts mass rallies and congregation, advocating jihad in Kashmir. For its December 2014 rally, Pakistan ran two special trains to carry the crowd to Lahore. India's foreign ministry termed this as “nothing short of mainstreaming of terrorism”. The congregation was held near Pakistan's national monument, the Minar-e-Pakistan, where 4000 policemen provided security. Lashkar-e-Taiba is the group responsible for the November 2008 Mumbai terror attack, which led to the deaths of 156 innocent people. On December 3, 2008 Indian officials named Zaki-ur-Rehman Lakhavi, a top leader of the Lashkar, as one of four possible major planners behind the attacks. Four days later, Pakistani armed forces arrested Lakhvi in a raid on a training camp near Muzafarabad in Pakistani Kashmir. Pakistan doesn’t want to bring terrorists like Lakhavi to justice because that would expose its sponsorship of terror groups. After India produced evidence of the Lashkar’s hand in the Mumbai attacks, Pakistan did the predictable. In order to claim that none of these guys were technically within Pakistan, the ISI asked the terrorists involved in the attack to leave the country. But it turned out to be a big mistake as one of these terrorists was caught in Saudi Arabia, which presented him on a platter to India. During his interrogation by Indian investigators, the terrorist revealed he was one of the key people tasked with training the 10 Mumbai attackers. He said he was in the control room near the international airport in Karachi from where Lakhavi was directing the attackers. He also said that after Lakhvi's arrest in December 2008, the Pakistanis destroyed the control room in Karachi. The January 2016 attack on an air force base in Pathankot, India, in which seven Indian security guards and six terrorists were killed, will give you an idea of how Pakistan continues to deny links with terror groups on its own soil. After the Indians allowed a Pakistani investigation team to visit the air base, the Pakistanis raised the outrageous claim that the attack was carried out by India to defame Islamabad. This has a parallel in 9/11 deniers in Muslim countries where everyone seems to be convinced that Israel and the US were behind the Twin Tower attacks. According to the Indian Express newspaper, the Pakistani investigators were given a full transcript of the telephonic conversations between the terrorists and their Pakistani handlers along with their identity. The Indian side gave the Pakistanis “the links of Pakistani officials, believed to be ISI personnel, with the handlers of the terrorists”. They were provided with “electronic and forensic evidence regarding the slain terrorists’ Pakistani links, name of the terrorists and several other critical evidence after an exhaustive probe conducted” by India. The Pakistani team was given concrete proof that a senior terrorist leader of the Jaish-e-Mohammed was in constant touch with the terrorists and giving them necessary instructions during the three-day carnage. And yet Pakistan claims it was a stage managed attack by India. The stark reality is that Pakistan has now become synonymous with terror. An unfortunate fallout of the country’s long association with terror is that ordinary Pakistanis worldwide appear tainted. A broad survey released on June 27, 2012 by the United States-based Pew Research Center’s Global Attitudes says that in a number countries, including China, as well as several Muslim countries such as Egypt, Tunisia, Jordan and Lebanon, the majority populations negatively view Pakistanis. Pakistan is not only a universally disliked country but the Pakistanis themselves have learnt nothing from their history, continuing to support the very actors who are responsible for Pakistan’s negative image. It is a measure of Pakistan’s penchant for exporting terrorists, counterfeit currency and drugs that India has constructed a 1400 km long steel fence across its border with its wayward western neighbour. The floodlit fence, which is patrolled 24/7, can be seen from space as a bright orange line snaking from the coast to Kashmir. Iran is also building a 700 km steel and concrete security fence along its border with Pakistan “to prevent border crossing by terrorists and drug traffickers”. When complete it will make Pakistan the most fenced-in country in the world. In four of the five predominantly Muslim nations covered by the survey, over half gave Pakistan negative ratings. Jordan (57 percent), Lebanon (56 percent), Tunisia (54 percent) and Egypt (53 percent) had an unfavourable opinion of Pakistan. The only exception was Turkey, where attitudes were divided (43 percent negative and 37 percent favourable). In East Asia, 52 percent of Chinese saw Pakistan unfavourably, as did 59 percent in Japan and 59 percent in India. The Chinese statistic is not surprising as Pakistan-trained Chinese Uighur Muslims have launched terror strikes in their remote province in China. Japan deported around 15,000 Pakistanis after 9/11. Every country has an army but the Pakistan Army has a country. The Pakistani military is the most corrupt institution in the land, with a finger in every national pie. Army officers get prime plots of land post-retirement at a third of the market price. It is certainly a case of generals fattening at the expense of an increasingly poor population. The Pakistani military has lost fours against India. After every war, Pakistan has lost territory, face and the credibility of its fighting forces. And yet Pakistanis rate this military very highly.As many as 77 percent said the military has a good influence on the country. The media came next with a 68 percent rating, followed by religious leaders at 66 percent. With religious zealots getting a solid two-thirds rating, is it any surprise that support for using the Pakistani military to fight extremist groups has declined over the last three years? Opposition to using the army to fight extremist organisations is especially high in Khyber Pakhtunkhwa (where 54 percent opposed) and Baluchistan (50 percent). India does not get any aid from the United States and yet among all 21 nations Pew surveyed, Indians seemed most favourably disposed towards it. Only 12 percent said they had unfavourable opinion of the United States. On the other hand, 80 percent of Pakistanis had a negative opinion of America, with 74 percent regarding it as an enemy country. American aid efforts were seen in a negative light by Pakistanis although the country continues to get billions of dollars of US aid. 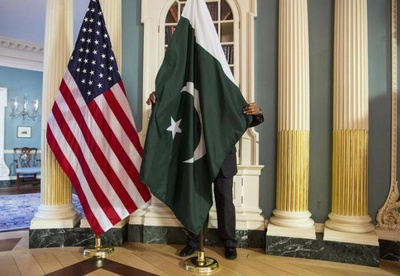 Around four-in-ten (38 percent) said US economic aid was having a mostly negative impact on Pakistan, while just 12 percent believed it was mostly positive. Similarly, 40 percent thought American military aid was having a mostly negative effect, while only 8 percent said it was largely positive. This is a snapshot of Pakistan, where the arrow of time is travelling backwards, taking them into a cycle of medieval madness. Where the death of a terrorist merely means he will be instantly replaced by a hundred clones. 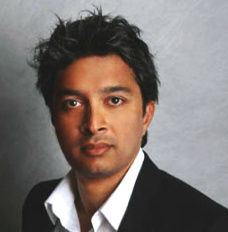 Rakesh Krishnan Simha, New Zealand-based journalist and foreign affairs analyst. According to him, he writes on stuff the media distorts, misses or ignores. Rakesh started his career in 1995 with New Delhi-based Business World magazine, and later worked in a string of positions at other leading media houses such as India Today, Hindustan Times, Business Standard and the Financial Express, where he was the news editor. He is the Senior Advisory Board member of one of the fastest growing Europe’s foreign policy platforms: Modern Diplomacy.